Pride junior Sam Llinares recorded a goal and two assists but Big Red senior Dan Lintner tallied five goals to lead 10th-ranked Cornell to a 14-5 victory over Hofstra at Schoellkopf Field Saturday afternoon. Cornell, with its second consecutive victory, improves to 9-3 on the season. The Pride, which dropped their third straight contest, falls to 4-8. In addition to Llinares, senior Mike Malave and sophomore Zachary Franco each tallied a goal and an assist for the Pride. Junior Korey Hendrickson and sophomore Brier Davis scored the other two Hofstra goals. Freshman Jack Concannon, who made his first collegiate start Saturday against the Big Red, recorded eight saves in his debut. For Cornell, in addition to Lintner, who was one goal off of tying his career-high, the Big Red received two goals and three assists by junior John Edmonds, two goals and two assists by senior Matt Donovan and four assists by senior John Hogan. 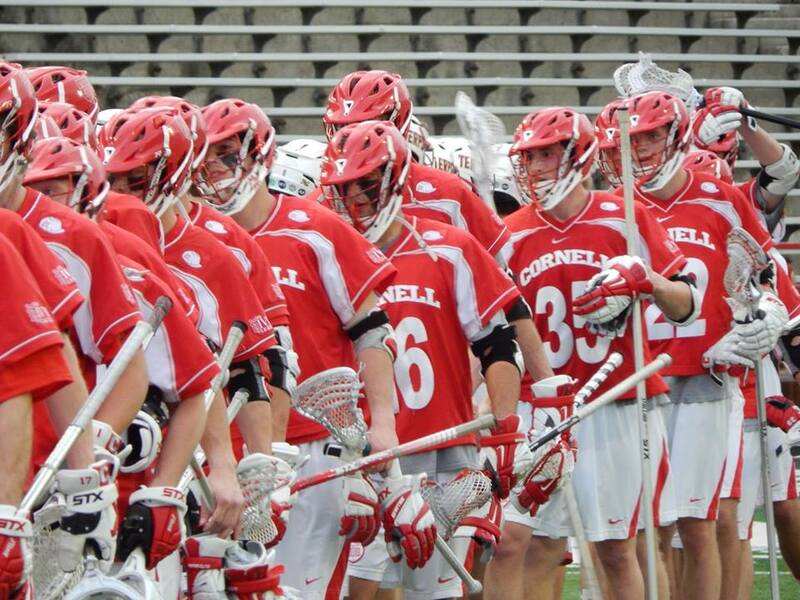 Senior midfielder Connor Buczek scored twice as did junior Bradlee Lord for Cornell. Senior Chris Cook also dished out two assists. Sophomore Christian Knight needed to make just one fourth quarter save in 52 minutes of action to record his ninth win of the season in the Big Red cage. For the most part, the first half was 30 minutes of runs with the Big Red having the upper hand. But it was the Pride who came out firing early as Hofstra took an early 2-0 lead. Llinares opened the scoring with a man-up goal just 3:43 into the contest. It was his 28th goal of the year and the 50th point of the season. Llinares is the first Hofstra player to record consecutive seasons with 50 points since Tom Kessler did it in 2000 and 2001. Davis then made it 2-0 for the Pride with a second man-up tally, from Franco, just 24 seconds later for his 13th goal of the year. But the Big Red responded with four unanswered goals before the quarter ended to take a 4-2 lead. Lintner started the Cornell run with consecutive goals on identical passes to the crease. Cornell’s leading scorer Matt Donovan scored the Big Red’s third goal and his 32nd of the year at the 5:55 mark and Lord gave the Big Red a 4-2 lead with a dodge from the right with 1:03 to play in the first quarter. The two teams split four goals in the second quarter as Hofstra scored the first and the fourth goals in the period as the Big Red took a 6-4 lead into the locker room at halftime. Sophomore Zachary Franco notched his sixth of the year, on a pass from Llinares, at the 9:40 mark to close to within one at 4-3. It would be the closest the Pride would get. Cornell would score the next two as Lintner would complete the hat-trick at the 7:44 mark and senior Tim LaBeau would score with 5:13 remaining in the half for a 6-3 lead. Korey Hendrickson would score a man-up goal for Hofstra with 3:59 to play in the quarter for his 11th goal of the year. The Big Red would boost the lead just 11 seconds into the third quarter as Lintner notched his fourth of the game for a 7-4 advantage. Mike Malave got one goal back for the Pride with his 28th of the season on the man-up with 12:05 to play in the third. But from that point, it was all Cornell as the Big Red would score seven unanswered goals, including three in the third quarter, to blow the game wide open. Edmonds started the run less than a minute after Malave’s goal. Buczek then scored back-to-back goals to boost the lead to 10-5 after three quarters. Cornell outshot the Pride, 14-2 in the third quarter. Edmonds, Lord, Donovan and Lintner scored in the fourth quarter to put the game out of reach. Cornell outshot the Pride, 42-16 and picked up 32 ground balls to the Pride’s 17 as two Big Red goalies made just one save each. The Pride (4-8, 1-2) will return to Colonial Athletic Association action on Saturday, April 18 when they travel to Towson University (9-3, 3-0) for a 7 p.m. contest.